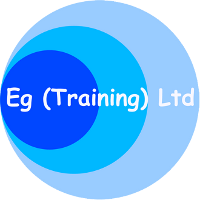 The approach to Speech and Language Therapy unlike the more normal model of regular visits by a therapist, is one of assessment, programme plan and update. This approach puts an emphasis on daily work by parents and carers involving a number of exercises designed to target any weak areas. An evaluation will be arranged, which typically takes 2 hours, during which our therapist takes the patient through a series of exercises to establish a baseline of ability. As the therapist goes through these exercises, they will begin to understand the likely exercises and levels required and can provide demonstrations of what will become part of the therapy programme. A video will be taken of the evaluation for the therapist to refer to whilst writing up the programme, a copy can be provided to review the demonstrations if required. When your programme arrives it will be quite long and it is worth spending some time studying it. It will detail the current baseline and give an in depth set of instructions for the exercises to improve on this baseline. A shorter list of the exercises is also included. The programme will give instructions on what the exercises should look like when successful and what the next level of exercise will be. The programmes normally provide about 6 months of development exercises. After about 6 months you will be ready to move on, another evaluation session can be arranged, this time it takes about 1½ hours. The therapist will go through the exercises checking progress and finding out the best things to work on next. An updated programme will be written to give you another 6 months of work. We believe that TalkTools offers an effective option where other methods have had limited results. Click here to see some articles on OPT and TalkTools. We have clinics in London and Wales. Please contact us to find out when and where our next clinic is being held.